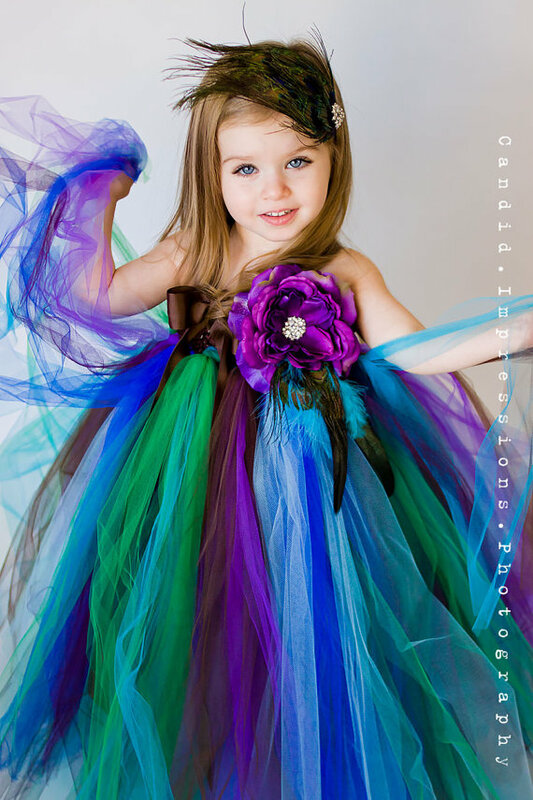 Our one of a kind peacock chiffon rosette dress is made out of layers of soft chiffon material for the skirt, that is also lined in non static bridal lining so soft to the touch. 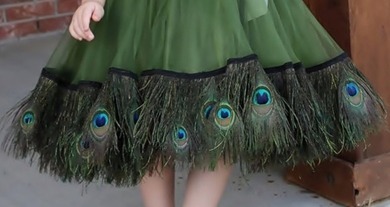 Attached is the Rosette Bodice embellished with beautiful peacock color pearls, the top is also lined in a beautiful olive green that matches the skirt. 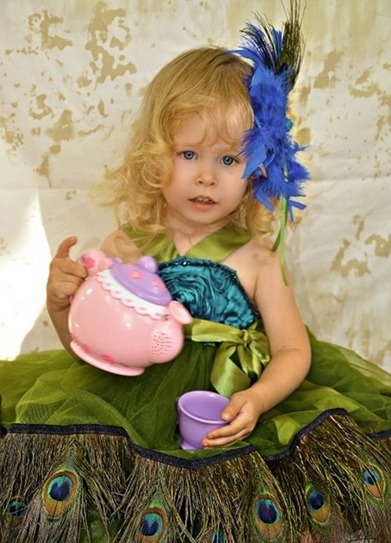 Perfect for that pageant, or any special occasion. 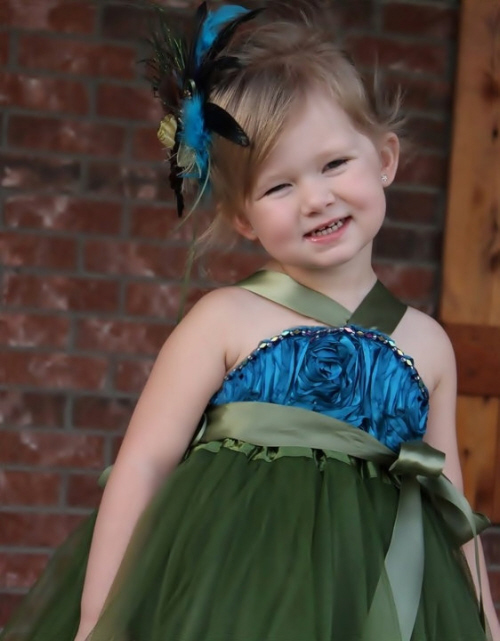 Optional matching headpiece is $30.00. It is important to provide the correct measurements and sizes on custom designs to insure proper fit. You can include measurements in the Comment Box below. We will need from armpit to the floor, chest and waist. This item is custom made in the US. Please allow up to 25 business days (Monday thru Friday) for your order to be created, plus shipping time.